Description The COABA Dissemination Committee works under the direction of the COABA Executive Board. The Dissemination Committee’s function is to support COABA’s mission of advancing the awareness of and access to applied behavior analysis (ABA) services in the state of Colorado. Melissa R. Nosik, PhD, BCBA-D is the Deputy CEO at the Behavior Analyst Certification Board. Dr. Nosik received her master’s degree from Florida Institute of Technology in 2004 under the mentorship of Dr. Jose Martinez-Diaz, her doctorate in 2013 from the University of Nevada, Reno under the mentorship of Dr. Larry Williams and completed a post-doctoral fellowship at the Behavior Analyst Certification Board under the mentorship of Dr. James E Carr. Her professional interests include credentialing, public policy, practitioner training, mentorship practices, behavior-analytic applications in higher education, and diversity of practice. Dr. Nosik has 15 years of experience in practice and has trained behavior analysts both in the United States and internationally. Dr. Nosik has served as a board member for the Tennessee, Nevada, and Colorado Associations for Behavior Analysis. Dr. Nicole Pearson is a licensed psychologist and Board Certified Behavior Analyst (BCBA-D) who has specialized in working with individuals with autism and other developmental disabilities for more than a decade. Dr. Pearson received her initial training in Applied Behavior Analysis (ABA) at the Alpine Learning Group and went on to work in a number of other educational settings including The McCarton School, District 75 classrooms in New York City and most recently, NYC Autism Charter School where she served as Director of Education. She has also worked with autism programs internationally in Kenya and the Maldives. 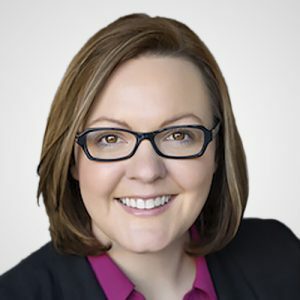 Dr. Pearson holds Masters and Doctoral degrees in Psychology from Fairleigh Dickinson University and completed her certification in ABA through the University of North Texas. She also has a BS in Business Administration from Villanova University. Dr. Pearson completed a Post-doctoral internship in the Behavioral Psychology Program at Westchester Institute for Human Development where she specialized in the assessment and treatment of severe behavior including aggression, self-injury and feeding issues. While there, she was also a fellow in the Leadership Education in Neurodevelopmental and related Disabilities (LEND) interdisciplinary training program. While in New York, Dr. Pearson served on the Board of Directors for the New York State Association for Behavior Analysis and the Junior Board of the NYC Autism Charter School. 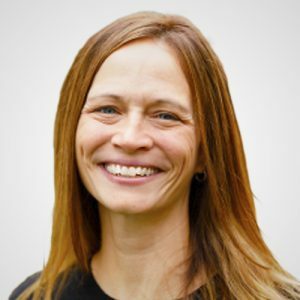 Relocating to Colorado in 2017, Dr. Pearson works as a Psychologist at The Joshua School and has her own practice, West Side Behavioral Associates, that provides consultation, evaluation and treatment services to schools and families.